Wealthperx and Lotto Magic - Information, updates and FAQ's. 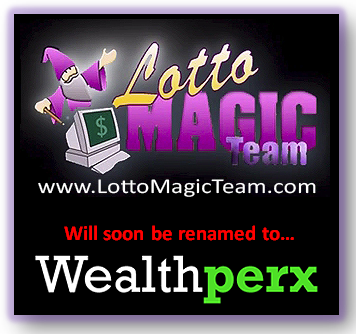 Wealthperx will soon be the new name for Lotto Magic. The transition will be taking place over the coming weeks and months. A recent company announcement through the monthly Lotto Magic newsletter said that the company is in the process of changing the name of Lotto Magic to Wealth Perx. Also mentioned was that all Lotto Magic related marketing materials will continue to remain effective and useful for an indefinite time period, so don't get nervous out there. Q: Will my free Team Free Lotto Magic web site still remain fully functional? A: Yes, the company said the Lotto Magic marketing materials (including web sites) will be functional and useable for an indefinite time, so our free team generated marketing sites will continue to operate as they always have. Q: Do I need to change anything in my Lotto Magic back office because of the name change? A: No, for now we recommend you wait until you receive instructions and updates from Mike Caruana or the company. Q: Will Lotto Magic be mentioned at all on the WealthPerx website, I didn't see anything there? A: To date it's not mentioned there but the site is still being assembled for the team, so we're not sure yet how Lotto Magic will be incorporated into the site. Q: Will our team be marketing WealthPerx like we did with Lotto Magic, in other words will there be free team marketing, free team marketing sites or the URL rotator etc? 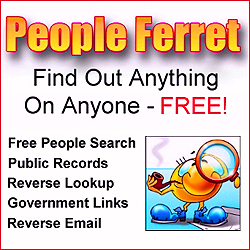 Until these domains are developed for the team they're currently redirecting to the free team URL rotator. More on the Wealthperx team sites and our SEO and team marketing plans as we learn more from the company. Q: Once Wealthperx is fully operational for me will I be paying for Lotto Magic "and" Wealthperx at the same time or will it be one payment for one MLM program only? A: In the newsletter Mike mentioned that the membership positions will receive new titles (bronze, silver and gold) so these aren't "additional" positions, these are "replacement" positions and titles, from this I expect it'll be one payment as in the past. Learn more about the new membership titles. Q: I'm paying for text and banner ads to run on other web sites and blogs to market Lotto Magic. With the name change to WealthPerx and Lotto Magic not being mentioned on the new company web site yet should I put those ads on hold? Should I be marketing with the new name instead? A: Currently we have our team ads on hold. The funds we don't spend for this weeks marketing blitz are the funds we can spend to build the Wealthperx team later. As far as marketing Wealthperx we recommend you wait until your marketing site is provided to you by the company. Once we receive more information about how Lotto Magic is going to be incorporated into the newly named site we'll post it on the team blog, thanks for writing! Q: When I search for Lotto Magic Team on Google 9 of the 10 results are team site related URL's. What are you going to do with that traffic once everything switches over to Wealthperx? Will we still benefit from the team traffic our team generates? A: We work with many SEO experts and web masters out there so it won't be difficult to reroute our current traffic to the new team Wealthperx marketing sites, mostly through redirect links or banners, text links etc. It'll be transparent to the visitors so you and your current team will be OK. During this time we'll also slowly transition from Lotto Magic SEO marketing to Wealthperx SEO marketing. We'll be doing the same through our Google images SEO guy out of India, but this will take a little more time to be truly effective - an example. Q: Are there advantages to joining Wealthperx besides the vacation and pharmacy discounts? A:Yes. Wealthperx allows for the use of credit cards for the membership sign-ups. Technically speaking Wealthperx also offers benefits that make your business tax deductible. 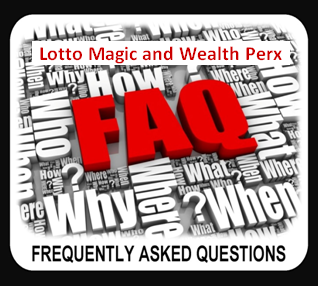 >>> Do you have a question about Lotto Magic changing its name to Wealthperx, what it means to you, how it will effect our team or do you have any other question? Please read the questions and answers above so you don't send us a duplicate question - thank you! As more questions arrive in our inbox we'll post them here along with the answers, so check back often. You can also email the company directly for more information or look for more news from them via email or the monthly company newsletter. The 21 Types of Content we all Crave. Social Media Texting code for senior citizens.